Musical Theatre News: Casting and booking details for new 20th anniversary production of Stiles & Drewe's musical HONK! 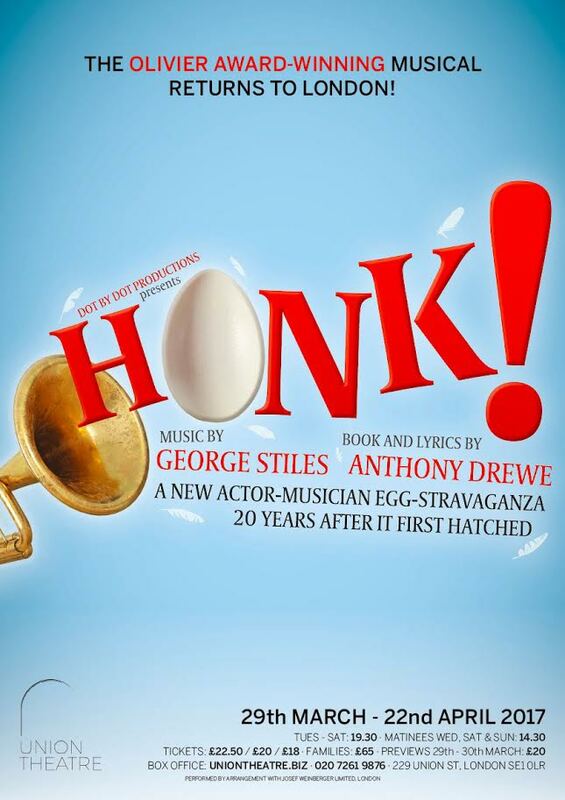 Casting and booking details for new 20th anniversary production of Stiles & Drewe's musical HONK! 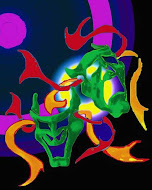 It is a brand new actor-musican versionwith puppetry, illusions - and water guns. This heartwarming reimagining of Hans Christian Andersen’s The Ugly Duckling tells the story of Ugly, a plucky little bird who gets picked on by the other farmyard animals because he’s different. Pushed out of the flock, he embarks on an adventure across the marsh, meeting an array of characters who teach him that it takes all sorts to make a world, and that he is much more than just his fowl looks. Ugly looks quite a bit different from his darling duckling brothers and sisters. The other animals on the farm are quick to notice and point this out, despite his mother’s protective flapping. Feeling rather foul about himself, the little fowl finds himself on adventure of self discovery all the while unknowingly outwitting a very hungry Cat. Along the way Ugly meets a whole flock of unique characters and finds out being different is not a bad thing to be. British writing duo Stiles and Drewe’s other works include current West End award winning Half a Sixpence, Mary Poppins and the soon-to-open The Wind in the Willows starring Rufus Hound at the London Palladium. Glaswegian Liam Vincent-Kilbride plays Ugly, making his London stage debut. He trained at the Royal Conservatoire of Scotland and has played Che in Evita and Mark Cohen in Rent. Emily Goad (Maureen/Henrietta/Penny/Lowbutt/Pinkfoot). Previous roles include Rosemary in How To Succeed in Business Without Really Trying, Julie Jordan, Carousel. Emma Jane Morton (Grace/Dot/Queenie/Mother Swann). Puck in A Midsummer Night’s Dream (Windsor), Leader of the Pack (Waterloo East). Ellie Nunn (Ida, Ugly’s mother). Shakespeare in Love in the West End, Lady Windermere in Lady Windermere’s Fan (King’s Head). Robert Pearce (Turkey/Bullfrog/Jack Daw). Col. Chambers in The Glenn Miller Story (Tommy Steele No1 UK tour), Jitters in Hoods! The Musical, directed by Craig Revel-Horwood, at the Arts Theatre. Leon Scott (Drake, Ugly’s father). Thor in Norseome (UK tour), and Montano in Othello (Shakespeare’s Globe). 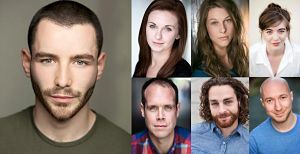 Sam Sugarman (Cat) was in Stephen Sondheim’s Road Show, Union Theatre, and Smee in Stiles & Drewe’s Peter Pan: A MusicalAdventure. Anthony Drewe said: Hans Christian Andersen has been described as ‘a tall, ugly boy with a big nose and big feet, and when he grew up with a beautiful singing voice and a passion for the theatre he was cruelly teased and mocked by other children’. Sadly, cruel teasing and mocking is still prevalent today whenever someone is perceived as being ‘different’, and it’s not only children who perpetrate this injustice. 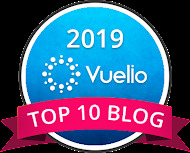 Some truly ugly attitudes revealed themselves in the lead up to the Brexit vote, and recent events in the US have only served to shake our wonderfully diverse, multicultural society. When George and I wrote Honk! it was, in part, in response to the reaction that my young mixed–race nephews were receiving at school, because their skin was of a different colour. But bullying is not limited to racial diversity. A recent study in the UK found that 45% of 13 to 18 year-olds have experienced bullying by the age of 18, with the majority saying the primary reason was their physical appearance. It’s a sobering fact that 1 in 10 teenagers bullied at school have attempted to commit suicide, and at least half of the suicides among young people are related to bullying. Sadly, it is true that the victims of bullying are most likely to become bullies themselves. Maybe one day this vicious cycle will be broken, then we will all have something to quack about. I think the reason Honk! has enjoyed such success and been seen in so many productions around the world is that everyone can relate to the plight of an outsider trying to fit in – we have all felt it at some point in our lives. We wanted to write a musical about acceptance – a celebration of being different, where diversity is welcomed and embraced, and where everyone plays their own part in a multicultural community, albeit on a duck pond.